Although officially founded in 1977, Betws-y-coed Golf Club’s roots can be traced back much further, and with some interesting twists and turns along the way. Golf in Betws-y-coed, and in fact around the vicinity of the current course, can be traced back to 1912 when plans were drawn up for a course on “Royal Oak Farm” and an appeal was made for members. The nine-hole layout was only used for a few months until the course was returned to agricultural land, in 1914, as part of the war effort. 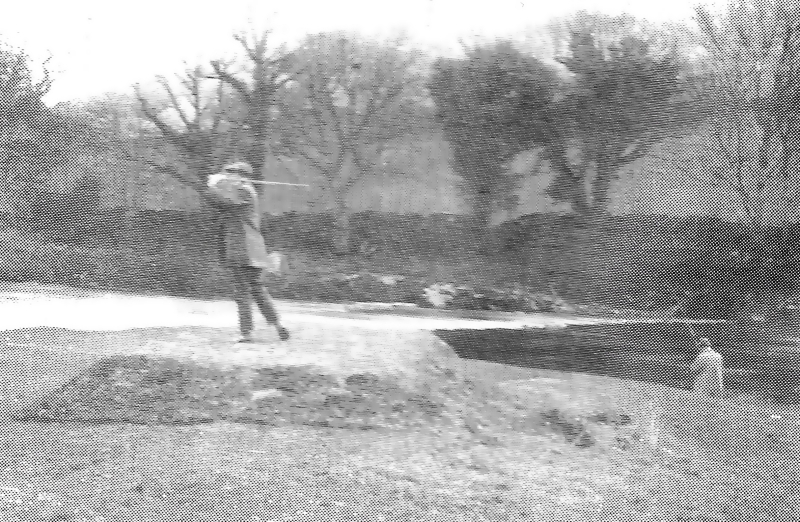 An attempt was made to revive the course in 1924, but to no avail. 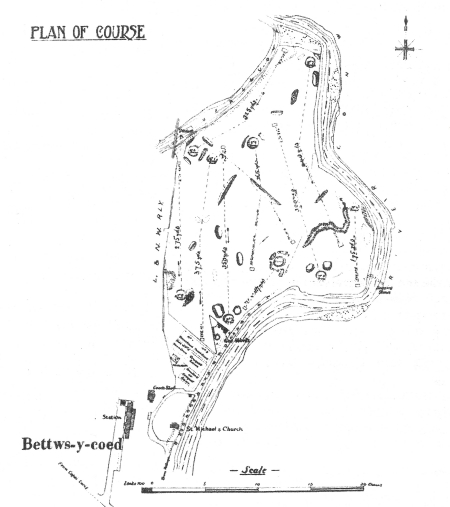 a map of the original course at Betws-y-coed from 1912. 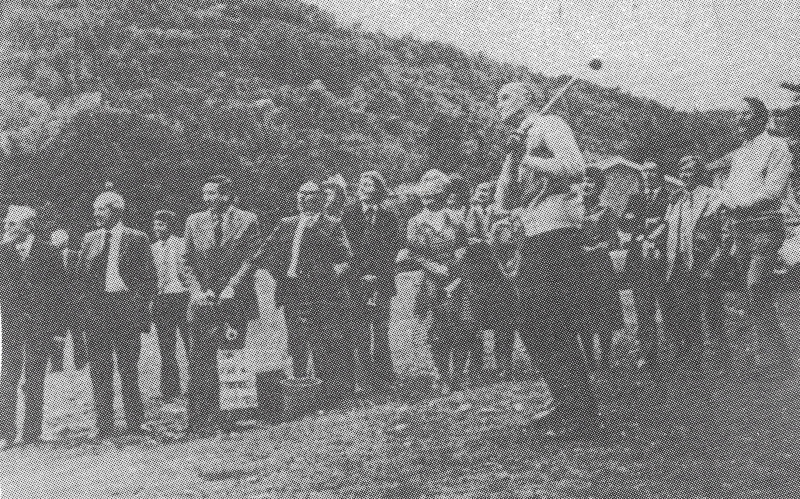 Nearly 60 years later, the idea was mooted again and the wheels were set in motion to set up Betws-y-coed Golf Club. Three gentlemen, namely Lewis Parry, E.R Hughes (known locally as “Nwd”) and Tom Jones (“Tom Bank”) began to discuss the possibility of a golf course, on the current site, during evening walks. 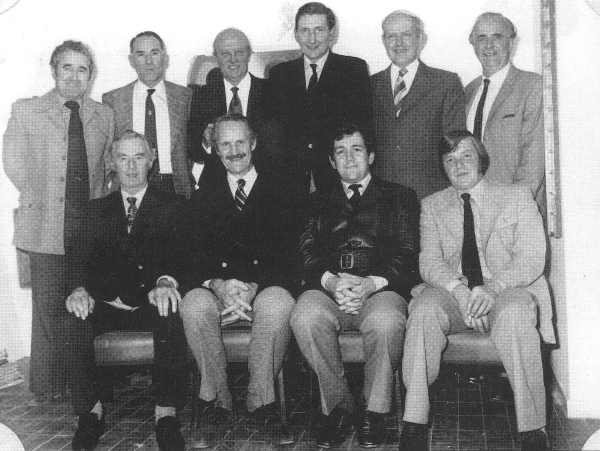 Developments ensued resulting in a committee and officials being elected during the year of 1971. 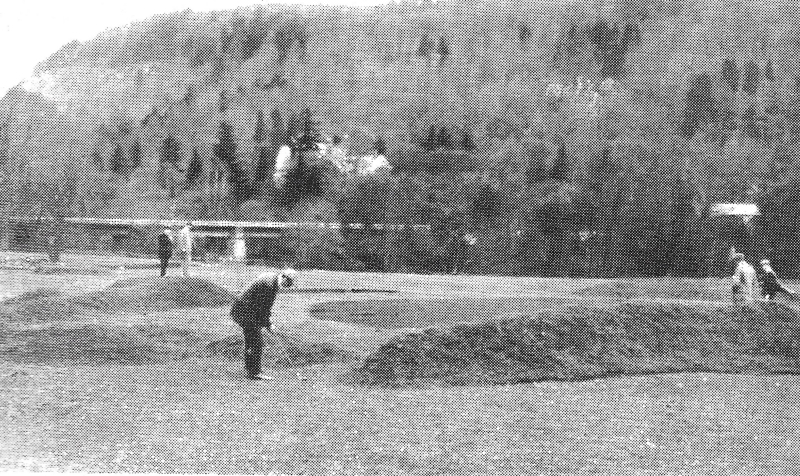 Six long years of committee meetings, planning and fund raising ensued before Betws-y-coed Golf Club officially opened on 4th June 1977, albeit using temporary greens. Official greens and tees were brought into use on 1st May 1978, whilst the formal opening of the course occurred in October 1978 with the Earl of Ancaster striking a drive from the first tee. In the year 2002, a Silver Anniversary booklet was produced to celebrate the first official 25 years of the club. This booklet, painstakingly compiled by Mrs Pat Rowley, provides a concise overview of golf at Betws-y-coed between 1977 and 2002. You can download a PDF copy of the booklet here (coming soon). It’s well worth a read.